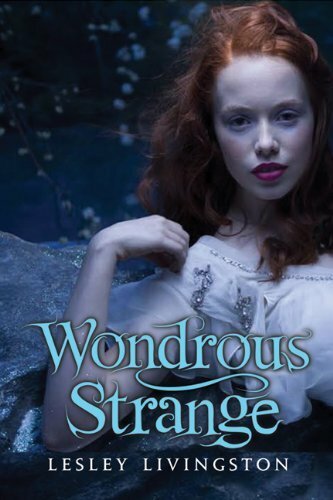 Synopsis:17 year-old Kelly Winslow doesn’t believe in Faeries. Not unless they’re the kind that you find in a theatre, spouting Shakespeare—the kind that Kelley so desperately wishes she could be: onstage, under lights, with a pair of sparkly wings strapped to her shoulders. But as the understudy in a two-bit, hopelessly off-off-Broadway production of A Midsummer Night’s Dream, wishing is probably the closest she’s going to get to becoming a Faerie Queen. At least, that’s what she thinks... In this fun, urban fantasy, Kelly's off-stage life suddenly becomes as complicated as one of Shakespeare’s plot twists when a nighttime trip to Central Park holds more than meets the mortal eye. ** I stumbled upon this book through an ad on Goodreads where I could read it free online for a limited amount of time. I enjoyed this story from the very beginning because it's a very cool twist of Shakespeare's A Midsummer's Night Dream. With all of the faerie books out there aimed at the YA market this is one that truly captured my imagination. I like the main character Kelly...she came through as a real teen just looking to make it on her own in the Big Apple. Of course, there is always that...more Review: I stumbled upon this book through an ad on Goodreads where I could read it free online for a limited amount of time. I enjoyed this story from the very beginning because it's a very cool twist of Shakespeare's A Midsummer's Night Dream. With all of the faerie books out there aimed at the YA market this is one that truly captured my imagination. I like the main character Kelly...she came through as a real teen just looking to make it on her own in the Big Apple. Of course, there is always that handsome boy who steals your heart....I'm secretly in love with Sonny!!!! 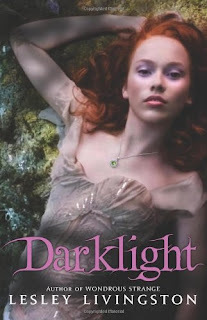 Very original story plot and great fun...I can't wait to get my hands on book #2 Darklight! Synopsis:"Much has changed since autumn, when Kelley Winslow learned she was Faerie royalty, fell in love with changeling guard Sonny Flannery, and saved New York City from a rampaging Faerie war band. When a terrifying encounter in Central Park sends Kelley tumbling into the Otherworld, her reunion with Sonny is joyful—but cut short. For they’ve been plunged into a game of Faerie deception and wavering allegiances in which the next move could topple a kingdom...or part them forever. Review: Much has changed for Sonny and Kelley. They've been apart from each other for almost six months. Kelley can't stop thinking about Sonny and all she wants to do is let her power loose so that they can be together again. Unwittingly, she lets her guard down while walking through Central Park. There she is attacked by a mugger. In order to get away she summons help from one of the Janus crew and somehow cuts a portal into the Otherworld. She and Sonny meet back up and that is when they start to notice that an ancient magick is stirring and someone has plans for both Kelley and Sonny. The Winter King is sick and the faerie world is being threatened. Sonny is not who he thinks he is...nor does he have any clue. But Kelley does and she is forced to make a decision that will change both of their lives forever. Livingston has created another magical book with Darklight and I devoured this in one sitting. At times Otherworld is a bit difficult to understand...a lot of different characters with magical qualities and I'm never quite sure who is good and who is wicked!! But I guess that only adds to the fun with this series. I eagerly anticipate the next book in this series! !